● Started 19th and finished fourth. ● Pit strategy came into play as the No. 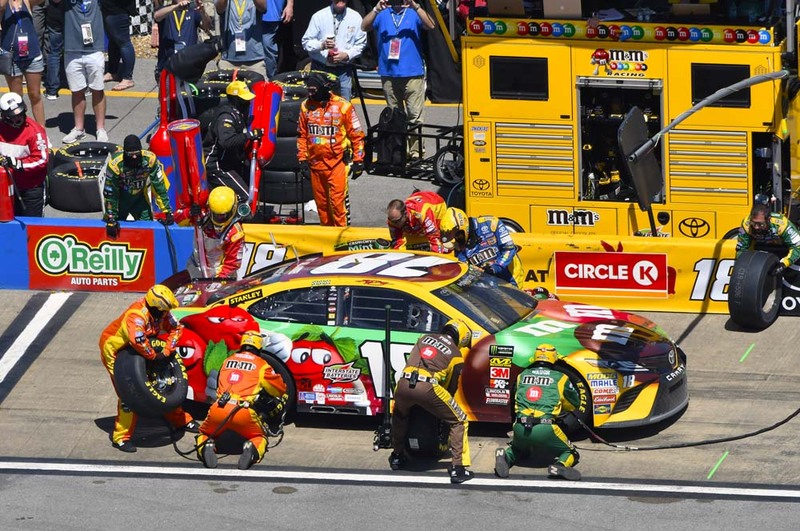 18 M&M’S Flavor Vote team, along with several others, elected to pit for fuel only within the first 15 laps of the race. The move enabled Busch to race to the conclusion of Stage 1 without making another stop. After the stop, Busch logged laps in the 20th position for the next several circuits around the 2.66-mile oval. ● The teams that had not yet stopped during the first round of green-flag pit stops were forced to make trips to pit road for fuel on lap 43. By the time those stops cycled through Busch was scored in fourth place, a position he maintained to the conclusion of Stage 1. ● Noting that the balance on the No. 18 Toyota had started to come together as Stage 1 drew to a close, the team elected to make a wedge adjustment, change four tires and add fuel. ● Busch exited pit road in seventh place, the first car with four fresh tires as cars in front of him stopped for two tires or fuel only. ● Started seventh and finished 10th. ● Employing the same strategy from Stage 1, Busch made a stop for fuel only within the opening laps of Stage 2, coming to pit road on lap 68. This time, however, a caution on lap 71 for a multicar accident allowed Busch to regroup among the race leaders. He was in fifth place when green-flag racing resumed. 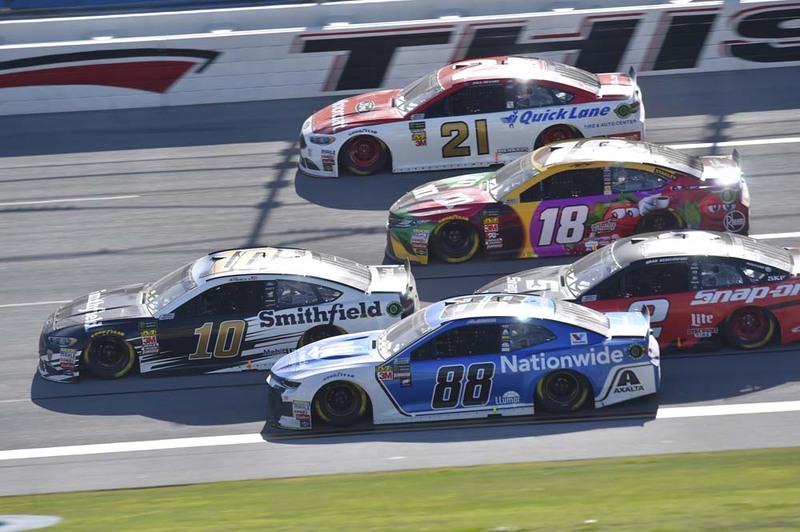 ● The 2015 NASCAR Cup Series champion quietly logged laps throughout the remainder of Stage 2, trying to strategically place the No. 18 Toyota in the most advantageous position. 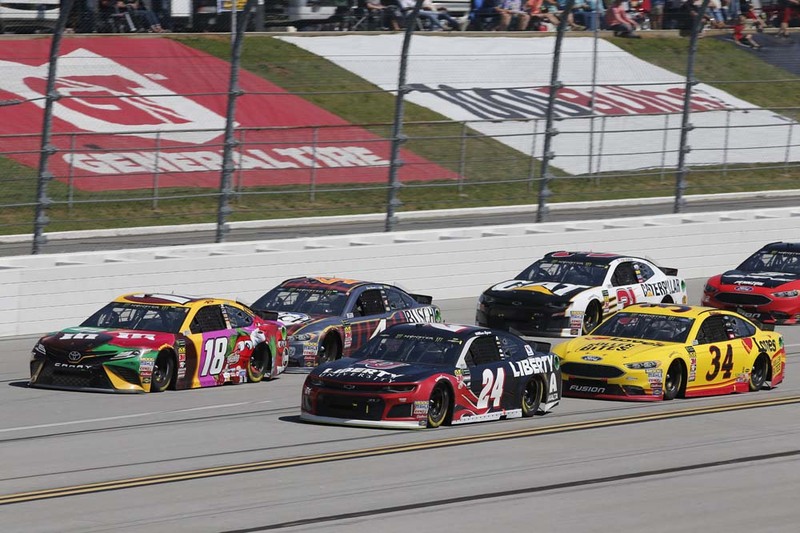 ● Busch was shuffled back a handful of positions as Stage 2 came to a frenetic end, finishing in 10th place. ● The team made an air pressure adjustment, changed four tires and added fuel. 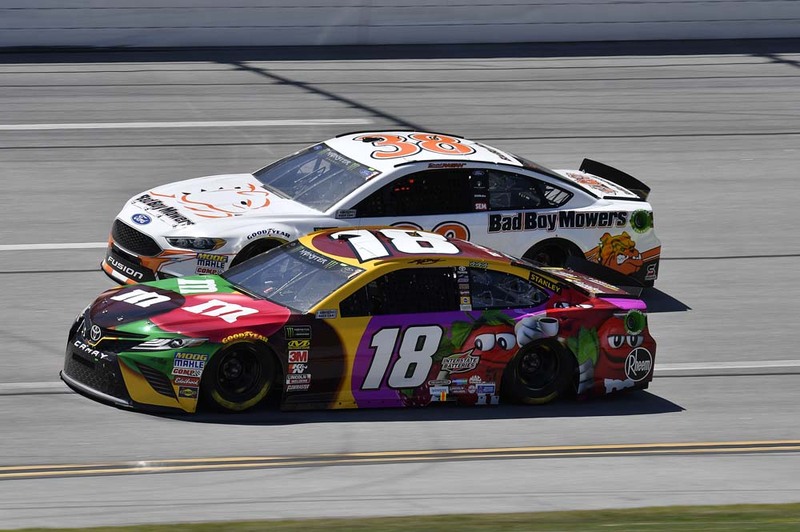 Busch was tagged as being too fast entering pit road en route to making the stop, which resulted in him having to start at the tail end of the longest line. With nothing to lose, the team brought him back down pit road to top off the fuel as the field came around to take the flag signaling one to go before green-flag racing resumed. ● Started 23rd and finished 13th. 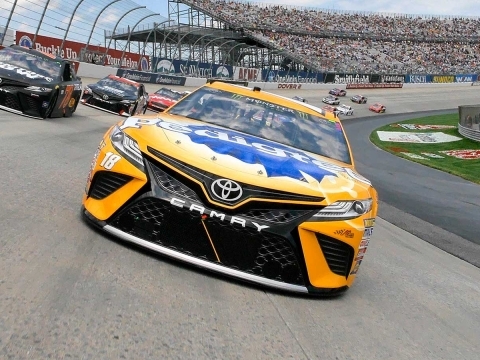 ● After starting at the tail end of the lead lap, Busch dug in and quickly positioned the No. 18 Toyota back toward the front of the field, making his way into the top-20 by lap 125. ● Busch was in 12th place on lap 128 when he reported a vibration. A fortuitous caution waved during the same lap, allowing him to bring the M&M’S Flavor Vote to pit road for four fresh tires and fuel. Quick pit work placed him in 12th place for the restart. ● With the car’s balance much improved, Busch started to be a little more aggressive to try and position himself well for the conclusion. All teams came to pit road between laps 145 and 146 for fuel to take them to the end of the race. ● Busch was in fourth place for a late-race restart on lap 159. ● The Las Vegas native was in 18th place on lap 166 when a multicar accident unfolded off of turn four. Busch suffered minor damage and had to make several stops for repairs. The team had to make sheet-metal repairs and replace one of the hood panels but was able to keep the No. 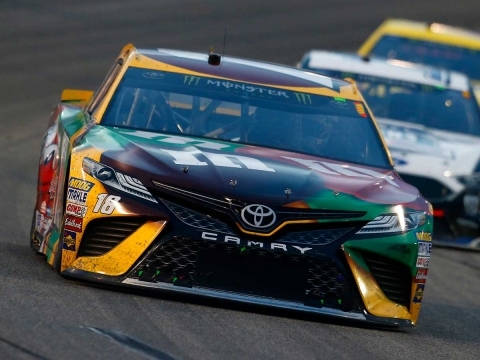 18 Toyota on the lead lap, and Busch was in 17th place when green-flag racing resumed on lap 171. ● The repairs were enough to enable Busch to draft and race his way back toward the top-10. He was in 10th place as the field came around to complete the final lap but was shuffled back to 13th by the time the checkered flag waved. Next Up: The next event on the Monster Energy NASCAR Cup Series schedule is the AAA 400 Drive for Autism on Sunday, May 6 at Dover (Del.) International Speedway. The race starts at 2 p.m. EDT with live coverage provided by FS1 beginning with a prerace show at 12:30 p.m.